This week, Google unveiled their new Stadia streaming service, The World Video Game Hall of Fame announced it’s 2019 finalists, and winners were announced for the IGF and GDC awards. Google announced its new streaming based gaming service Stadia this week during a keynote at the Game Developers Conference (GDC). The service allows players to fully stream their games over the internet without downloading a game’s data. Additionally, players can transfer their games seemingly without interruption from their laptop to a phone or to their TV with the help of Google’s Stadia controller and a Chromecast device. Google also showed off influencer integrations, which will allow players to jump into a game seamlessly after checking out an influencers stream. Outlets like CNN, The New York Times, USA Today, and TIME all covered the news of Google’s latest foray into the gaming world. This week, The World Video Game Hall of Fame announced the 12 finalists for its 2019 class of possible inductees. The finalists span a range of mobile, classic, and franchise titles as reported by top tier outlets like Variety and AP News. The finalists for this year included Candy Crush, Centipede, Colossal Cave Adventure, Dance Dance Revolution, Half-Life, Microsoft Windows Solitaire, Mortal Kombat, Myst, NBA 2K, Sid Meier’s Civilization, Super Mario Kart, and Super Smash Bros. Melee. The final inductees will be announced during a special ceremony on Thursday, May 2. Return of the Obra Dinn by Lucas Pope (the creator of 2013’s Papers, Please) won top honors at the Independent Games Festival (IGF) Awards this year. Polygon, Kotaku, and more covered the announcement with continued praise for the game, which they also originally lauded in their initial reviews. 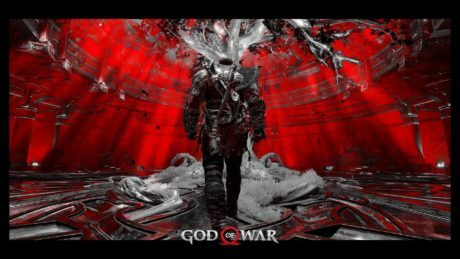 Subsequently, God Of War won game of the year at the GDC Awards beating out other major AAA titles as reported by GameSpot, Polygon, VentureBeat, and more.